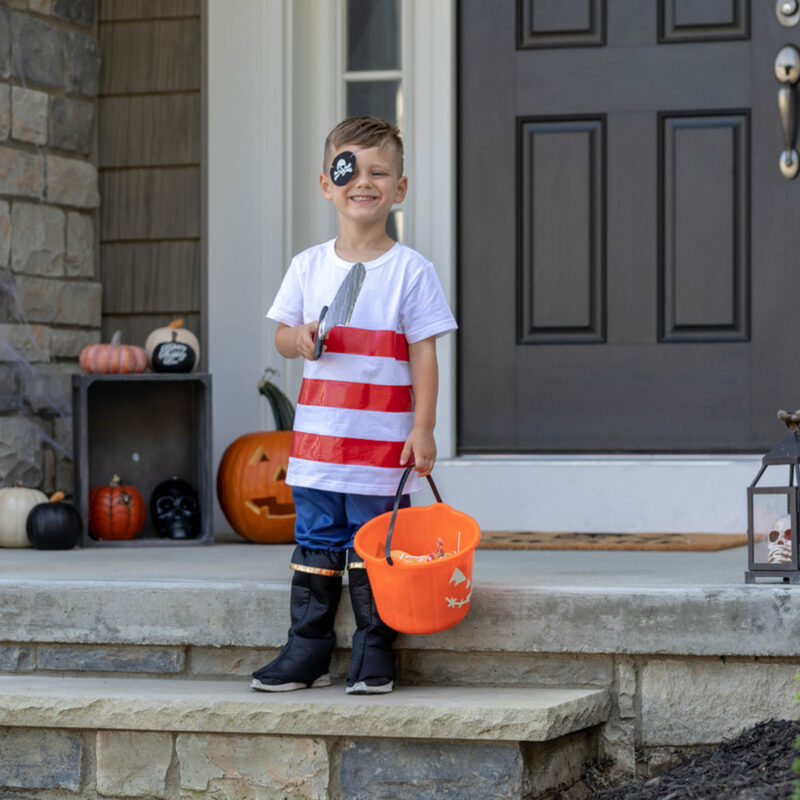 A white shirt, red Duck Tape, an eye patch and a few accessories are all you need to create a DIY pirate costume for a homemade, easy Halloween costume. 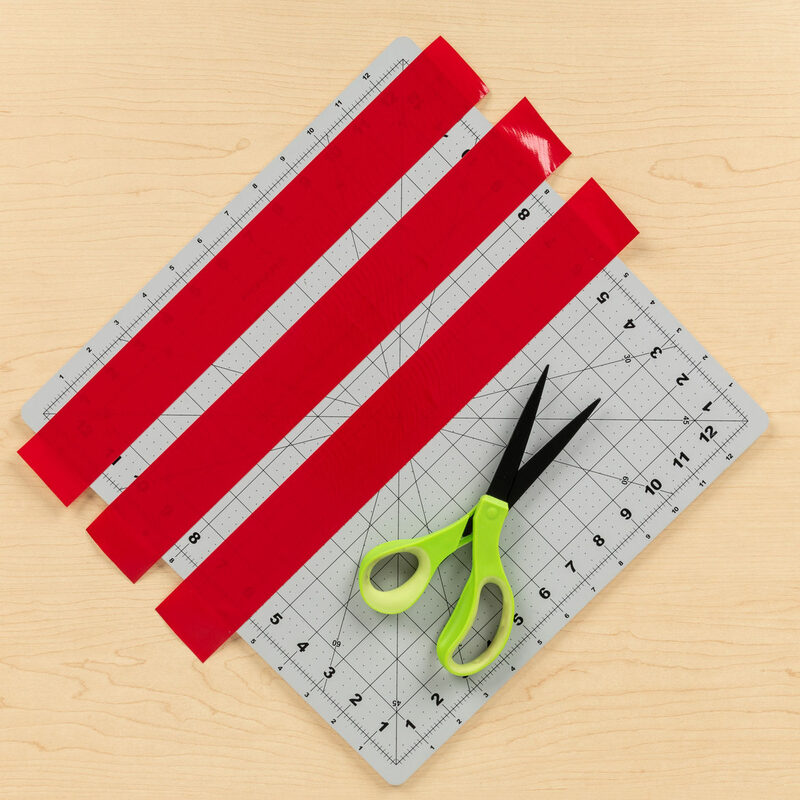 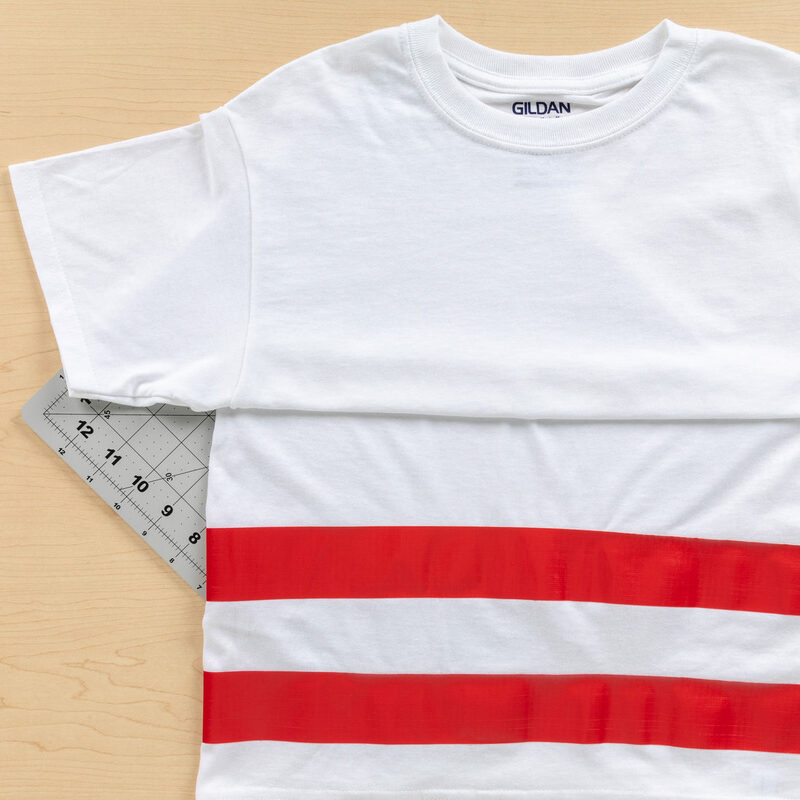 Cut strips of Red Duck Tape® to fit on the front and back of the shirt, and leaving the arms out. 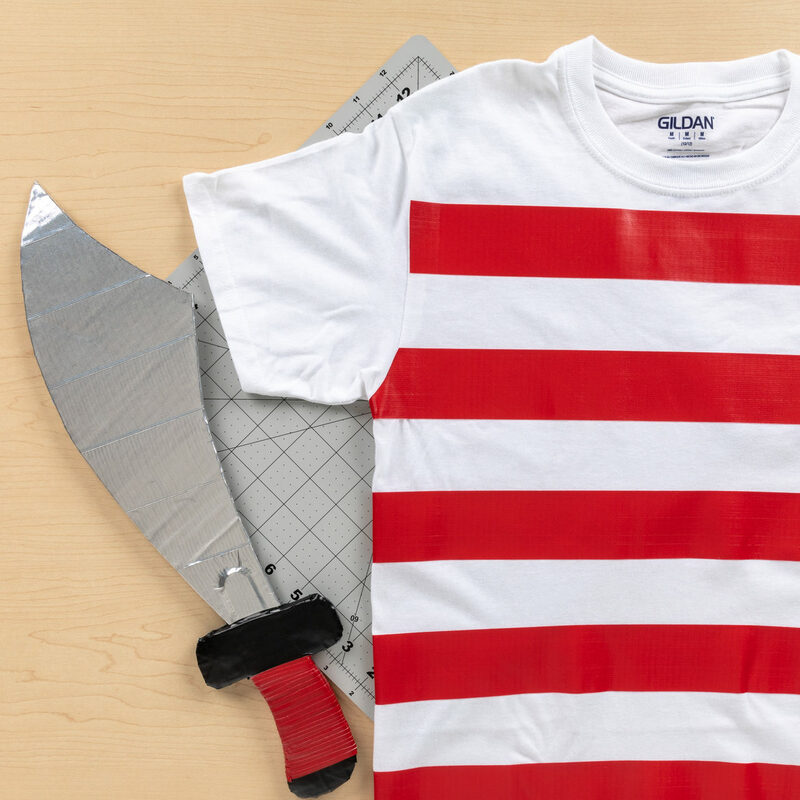 Cut a sword shape from cardboard and cover with Chrome, Black and Red Duck Tape®, and finish off the outfit with other fun accessories.